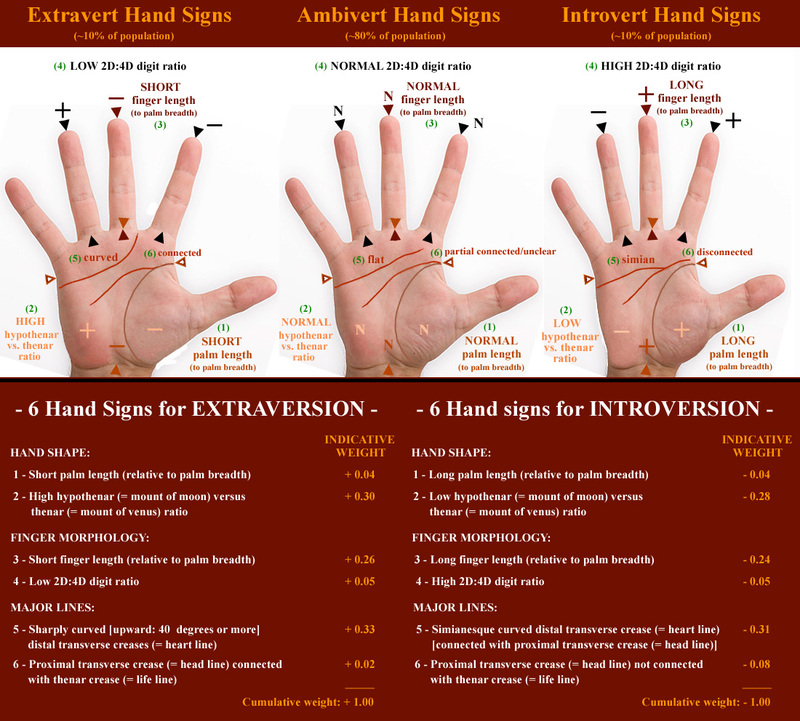 6 Hand signs for Extraversion / Introversion! Re: 6 Hand signs for Extraversion / Introversion! 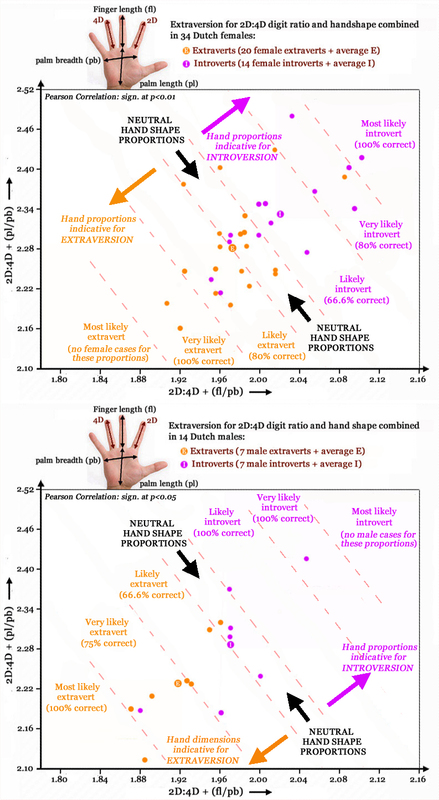 Extraversion predicted via 2D:4D digit ratio, finger length & hand shape proportions! 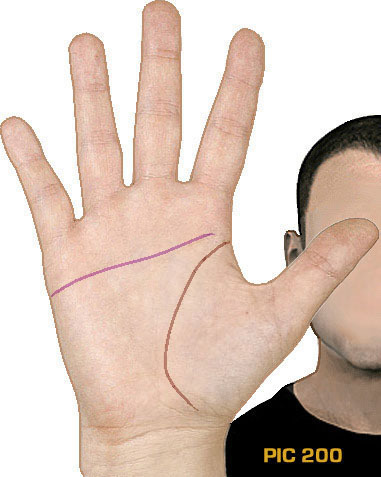 "... statistics which suggest that for 79% of cases OUTSIDE the 'neutral hand shape proportions' can be correctly predicted via the hand shape proportions"
PS. The (modifiied) picture below now summarizes the stricking similarities between the female- and male sample much more clearly; the details are described more explicit insie the accessory article. The new 'Hand Model for Extraversion' is available! Martijn, what I wanted to know is: how did you take a rating on the individual parameters? 'coz, in the set of cases, where the separation of headline is studied for, there might be other factors which influenced them from being introvert and not exactly this marker. For those, where the head and life line are separated, it can be said that, since, they mingle with the group, they may want to be independent of the group! And since, they are with group very much, they are mostly extraverts and introverts. The rest of the points, other than 8, are very logical, particularly the Moon mount and life line. But, this separation point is not convincing. E.g. from the details one can derive that the 'dissociated head line' has been notified in about 33% of the introverts (versus 11% of the extraverts); it's a tendency that has been observed in both the female and the male sample - though in the male sample the effect-size is low. PS. The 'weights' featured in the picture of the article (see previous post) indicate that the starting point of the head line does not represent much more than a minor sign (representing 4% of the full Hand Model for Extraversion); so one should not conclude from these results that most people who have a dissociated head line tend to be introverts. I am not a member of this group yet. Have requested for membership.Meanwhile, can you please post here what he says there? I got the access Martijn. But, the link is not directly takng to the comment you're pointing to here. Its pointing to conversation. Which comment are you referring to? Anas Baek "Thanks Martijn, I have a dissociated SL on my left palm (also normal SL on my right), and yes I'm 100% an introvert, so that confirms your study"
NOTICE: Especially the 'dissociated simian line' (observed in 3 out of 21 introverts) appears to play a significant role in the Hand Model for Extraversion. 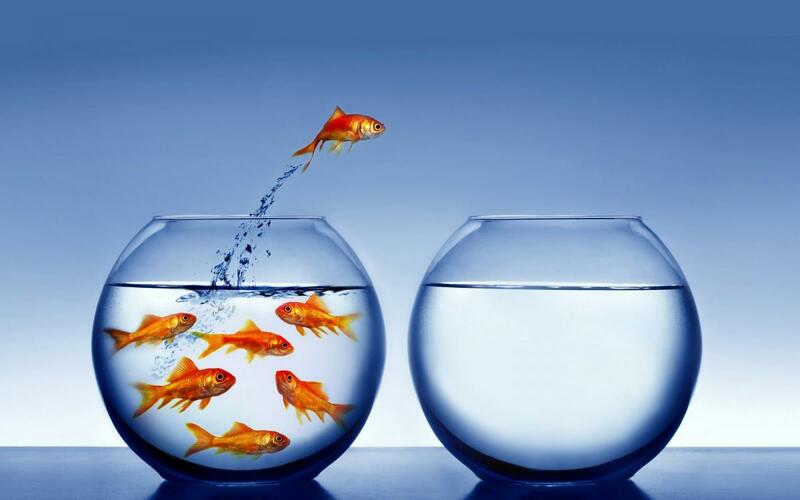 - Introvert (= extraversion '-') = inward looking, observation & interpretation. I agree with all you have concluded so far in this research. Especially with 2D:4D ratio. As per the multiple points on which you have classified extraversion/intraversion, I have just one question. It says that "Extraversion is noted with a high positioned thenar crease(life line) + long connection with proximal transverse crease(head line)" and correspondingly "Introversion is noted with a low positioned thenar crease + disconnected proximal transverse crease". Obviously that makes it disconnected lines. Will this be included as an example of introversion? My latest findings suggest that it is essential to consider the 'vertical' dynamics displayed by the hand, where the focus should be putten on hand proportions & the 2 major transverse creases (a.k.a. heart line and head line). 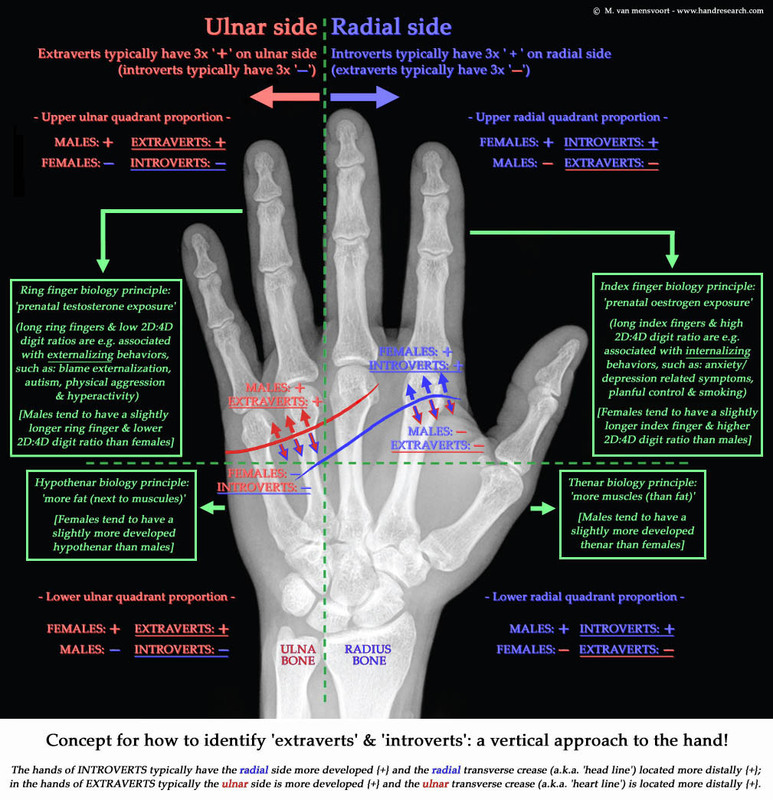 Now, regarding your 'proximal crease crosses life line' example: the principles presented in the chart above indicate that a proximal tendency regarding the location of the proximal crease (head line) can be understood as a '-' factor on the radial side of the hand... which is likely more typical for 'extraverts'! So, I think your example should not be associated with 'disconnected line variant' - especially since the crossing of the two lines can actually formally best be described accurately as a variant of 'connected lines'. PS. I have decided to 'lock' this topic in order to allow members to make a fresh start on the new results - as for the first time the (new) results now present a sensible concept for how to recognize 'extraversion' from the hand! How to assess EXTRAVERSION from the hand? Kiran, I have been thinking about your question/comment a little bit more ... and as an additional thought, maybe the picture below kind of explains why it is not surprizing to see that 'independent thinking' appears to correlate with 'introversion' (in the hand). "Seeking independence (via act or thought) can by principle be recognized as a typical expression for the need/nature of an introvert"
"Introverts have lower social engagement and energy levels than extraverts. They tend to seem quiet, low-key, deliberate, and less involved in the social world. Their lack of social involvement should not be interpreted as shyness or depression; instead they are more independent of their social world than extraverts." This confirms my association that the results reported in my study actually confirm the idea that 'independent head lines' are more often seen in introverts - read: independent thinkers! And this implicates that it doesn't make much sense to associate the 'dissociated head line' with extraversion (like is seen in the works of e.g. N. Altman, J. Fincham, K. Andries). By the way, it is also interesting to notice that other authors (e.g. K.Z. Jones, page 81) have associated a large gap between the heart line and the head line to represent a typical feature for the extravert... which makes sense in the perspective of the fact that my study also has pointed out that a connection between the heart and head line (such as the simian line) is more often seen in introverts! PS. 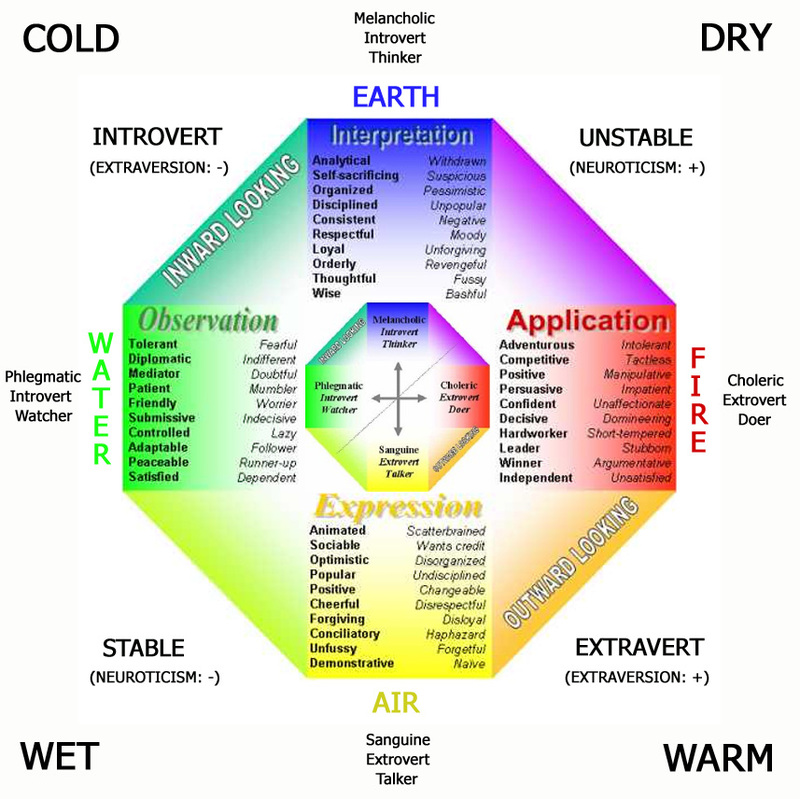 In the Myers-Brigg personality model the INTJ-type (introverted, intuitive, thinking, judging) is also recognized to represent the " the most independent of all of the sixteen personality types."... obviously this concerns one of the introverted types!